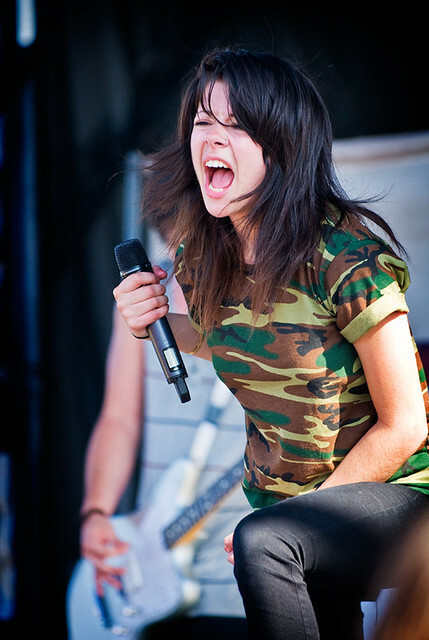 WE ARE THE IN CROWD'S NEW SONG SCREAMS FOR "ATTENTION"
Taylor Jardine of We Are the in Crowd performs at Vans Warped Tour last year. A driving force of sugary-pop melodies with dual vocals that We Are The In Crowd are known for, their new single, released today, just screams for "Attention." The new single is more like an anthem for today's youth, their conflicts of identity and the journey they must all face to find out who they are meant to be. "I Know the way I want to be but I'm trapped in who I am," lead singer Taylor Jardine sings. "The only thng that holds me back is not believing.."
You can purchase the single right HERE. Check out the new single, "Attention" below.